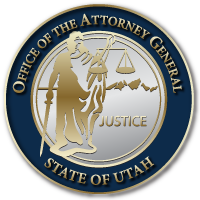 President Donald J. Trump announced his intent to appoint Utah Attorney General Sean D. Reyes to the President’s Advisory Commission on Asian-American and Pacific Islanders on Thursday. The commission works to advise the President on issues that face the Asian-American and Pacific Islanders (AAPI) community, such as economic growth, education, health and housing. The commission also facilitates access to and participation in federal programs to AAPIs to improve the quality of life for the community. In 2017, President Trump recognized the tremendous growth and needs of Asian Americans and Pacific Islanders (AAPIs) in America and issued Executive Order 13811 to re-establish the commission. Attorney General Reyes is among 12 other people named to join the commission. This entry was posted in Recent Posts and tagged AAPI, Asian-American & Pacific Islander Commission, Sean D. Reyes, Utah Attorney General on January 18, 2019 .